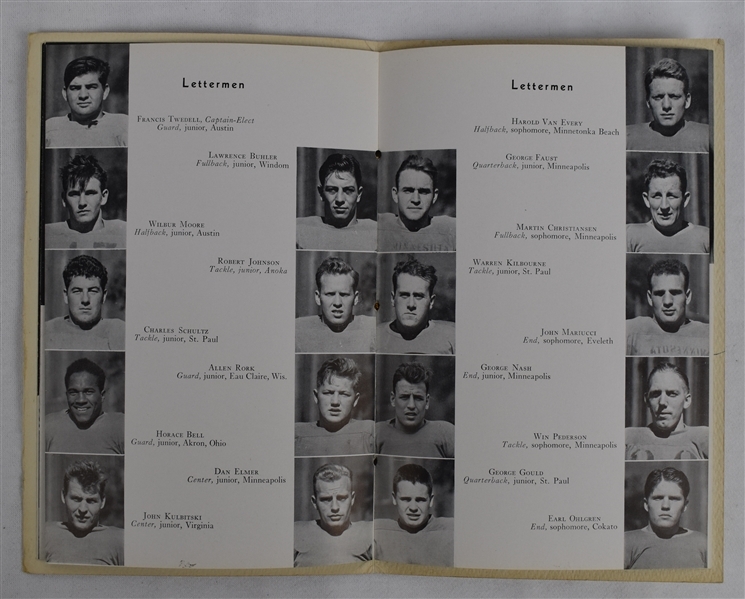 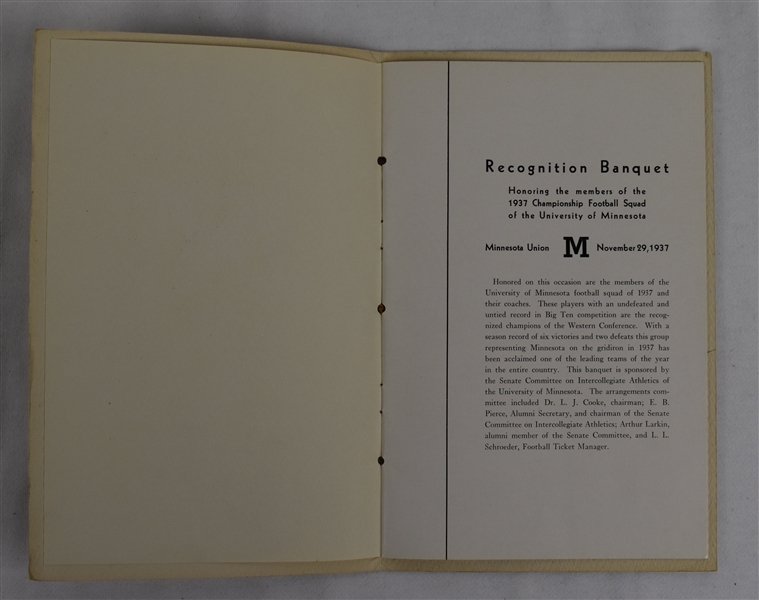 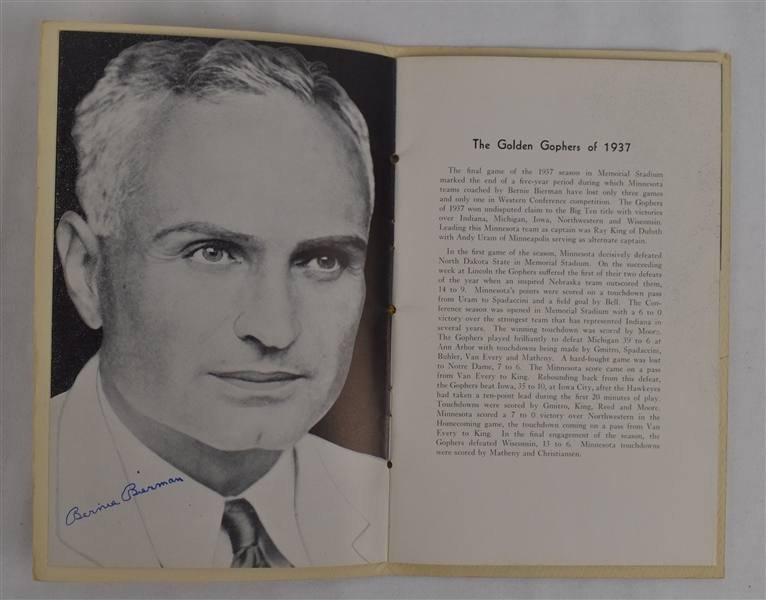 Rare 1937 Minnesota Gophers football program signed twice by Bernie Berman both on the cover as well as inside the program. 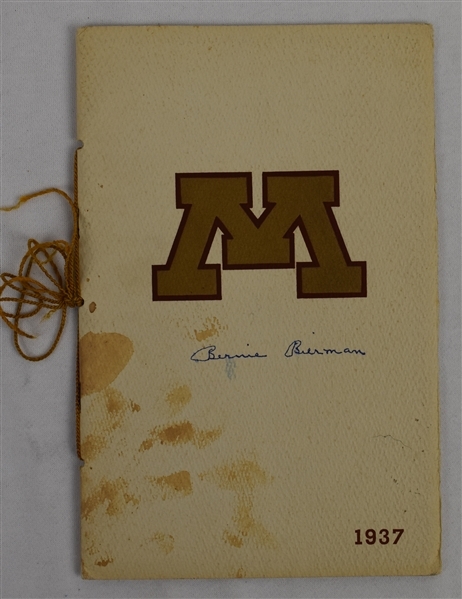 Bierman was the head football coach at his alma mater, the University of Minnesota (1932–1941, 1945–1950), compiling a career college football record of 153–65–12. At Minnesota, Bierman's Golden Gophers compiled a 93–35–6 record, won five national championships and seven Big Ten Conference titles, and completed five undefeated seasons.